Add 2 Dickie Turtlenecks to Cart, Get $2 Off each! I REALLY LIKE THESE DICKIE'S. I WISH THERE WERE MORE COLORS. These come in very nicely during this cold weather. Nice way to dress up a sweater or sweatshirt without the bulk of wearing a turtleneck. I have bought several styles over the years from Miles Kimball and have always been pleased. A useful part of my wardrobe. I wear them under sweaters and sweats. These mock turtlenecks are awesome! I've worn these for more than 20 years, and the quality continues to be excellent. This mock turtleneck, dickey, is longer than usual and stays put hidden under tops, also is comfortable. Love these mock turtles. I have a couple of fleece v-necks, that just are a bit chilly as is. I love putting these underneath and keeping the chill off my neck. Very comfortable. Received product in a timely manner. All were in good shape and fit well. I like these because these because they do come in handy to wear under sweat shirts, etc. This product is the very type of item I need to modify an outfit and make it look new and different for a very small price. The Dickies are absolutely perfect! The Dickies are just great for wearing underneath blouses that are not quite modest. Love the fit and feel of the product. Wear them every day under my tee's and sweat shirts. Adds a finished look. Wash and wear beautifully; no touch up needed. Only thing I would suggest is that the base be a little bigger. Bibb, back and over the shoulders. Stays in place pretty well but just a little more and it would be perfect! Terrific product line and came so fast!! I use these dickeys for neckline enhancements under sweaters or fleece instead of bulky shirts!! it was for my mother-in-law...She liked them. I have been wanting these for a long time and I finally decided to order them. They are perfect. They are big enough to cover my shoulders and not bunch up. I wear a lot of turtlenecks and these will be perfect to go under my sweaters. I bought them in 4 colors. They seem to be of a good quality and the price was perfect. Covers my neck tattoo without having to wear a full turtleneck shirt when its hot. At 75 years old I need to cover part of my [chicken] neck. These work great. I ordered three dickeys. They are exactly what I was looking for. The online order was received promptly. I will absolutely be ordering more products from your company!! Needed that little extra something at the neck for looks and warmth. This will fit the bill nicely. The Turtle should be so lucky. the Mock Turtleneckare are just fabulous and I plan to order the rest of the color offered very soon. I will buy more of this product! 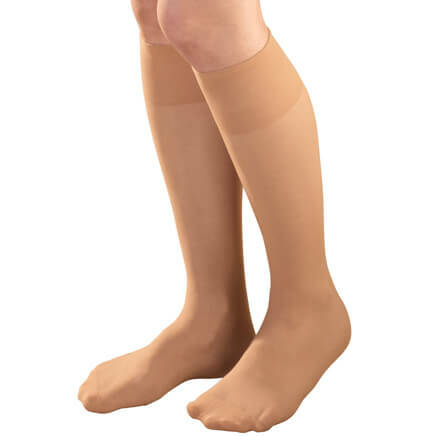 I love this product because it keeps me warm and it is easy to put on and take off when I am no longer cold. I may have a "turtleneck" in the morning and two hours later, I don't have it on. Since I match it with my outfit, nobody can tell if I took anything off throughout the day. I love adding a dickie to keep my neck warm without wearing a turtle neck sweater under sweatshirts. 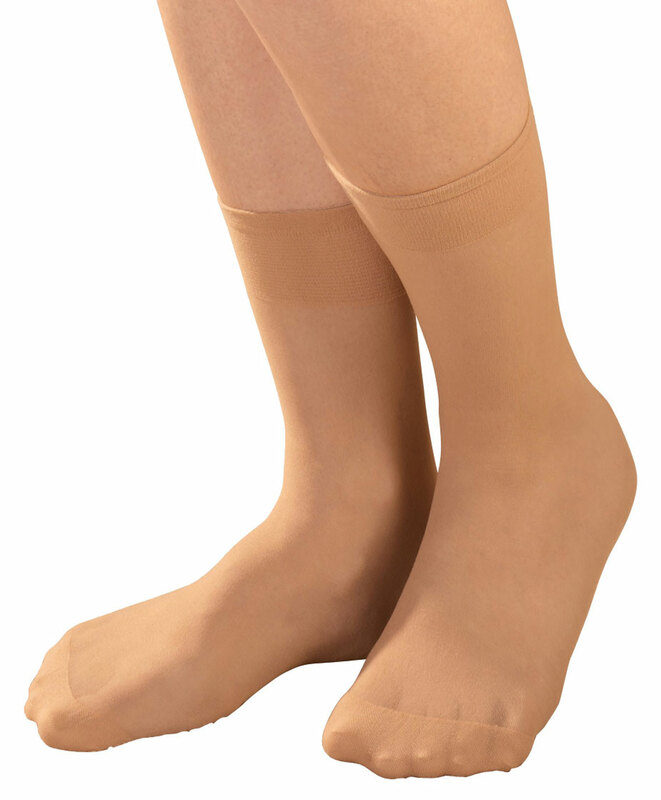 These are a perfect weight and soft. At first I was hesitant to purchase after reading someone's review, so I purchased just one. After receiving the Dickie, I would order more colors. I think the quality of the merchandise was very satisfactory! Generally nice looking and well made but does not protect high up on the neck as I would have preferred because I work many hours outdoors and am not able to use a scarf with my uniform. Wish the dickie had some velcro to keep it from riding up and bunching at the neck. Maybe could be a little longer in the back, too. It does look nice under my light weight sweaters without the bulk of wearing a shirt underneath. Essential addition to my wardrobe. First order was perfect fit. Second had larger neck circumference for my slim neck & tends to be bulky, but still acceptable. Good bib coverage.Keeps my neck warm as desired. Easy to launder. Really like them. I would use it under sweaters instead of a turtleneck shirt. The front and back parts of the product (not the neck part) could be longer: it was difficult to get the back part to stay tucked under the sweater. 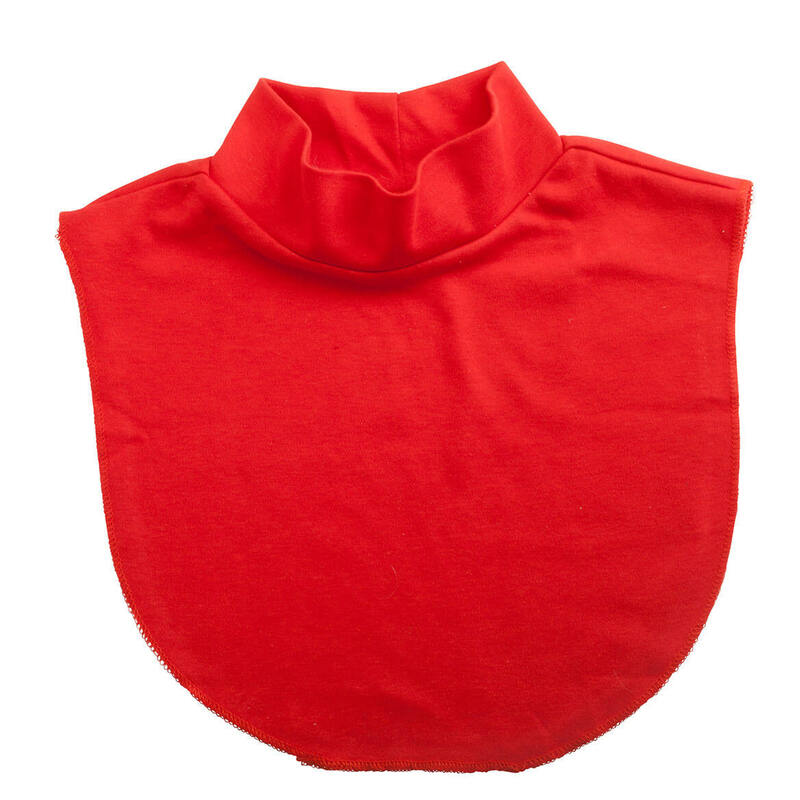 Also I would have purchased dickie turtleneck instead of dickie mockneck, because the product does not provide as much coverage of 59-year-old neck as I really want, but that product wasn't available on clearance. As mentioned above, product is worth the coct. Dickys are difficult to find sometimes, now I have you as my source. Consider other colors and thicker materials. Black colar, wool ribbed material would be great. I like these for wear with shirts that have a neckline that is too low for comfort in winter. This is apparel that is comfortable and can be worn under sweaters or jackets and I can wear with many outfits. I want these in a turtleneck!! I will use these under tee-shirts, and sweathshirts can never have too many. Covers my stoma and allows me to waar blouses, dresses and suits. Dickies are very hard to find these days. I was so glad to find so many styles on Miles Kimball, so I bought a few different ones. Reasonably priced too. I was hoping these would look a little dressier. The fit was fine, but they just looked too plain for what I wanted to use them for. In the right situation, I'm sure they would be just fine. Too floppy in neck. Weak fabric. 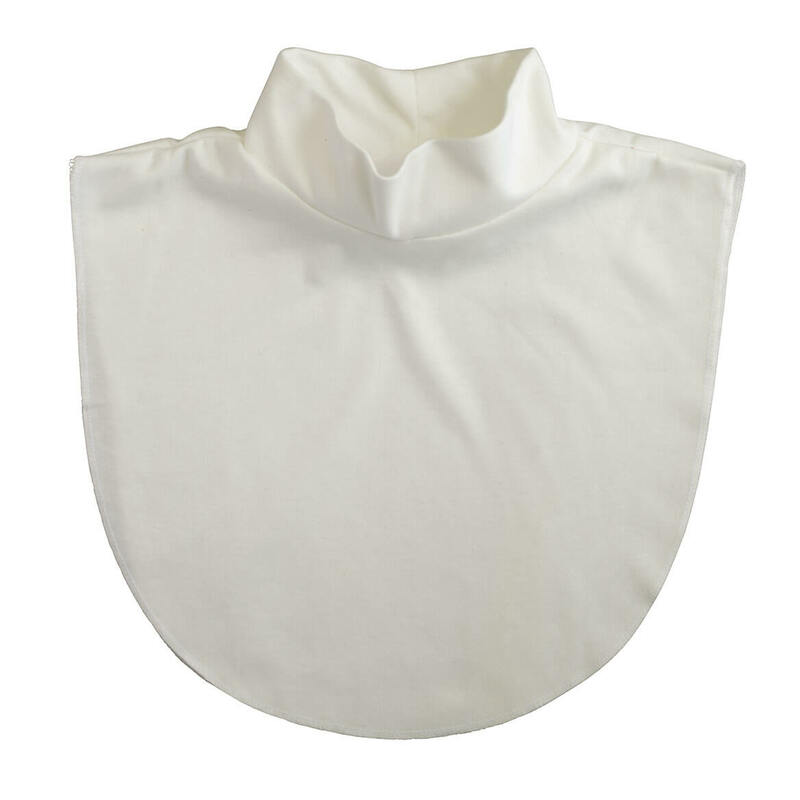 The back side rolls up around the mock turtleneck collar (which is too big around the neck) and does not lie flat. I am keeping it and making do. 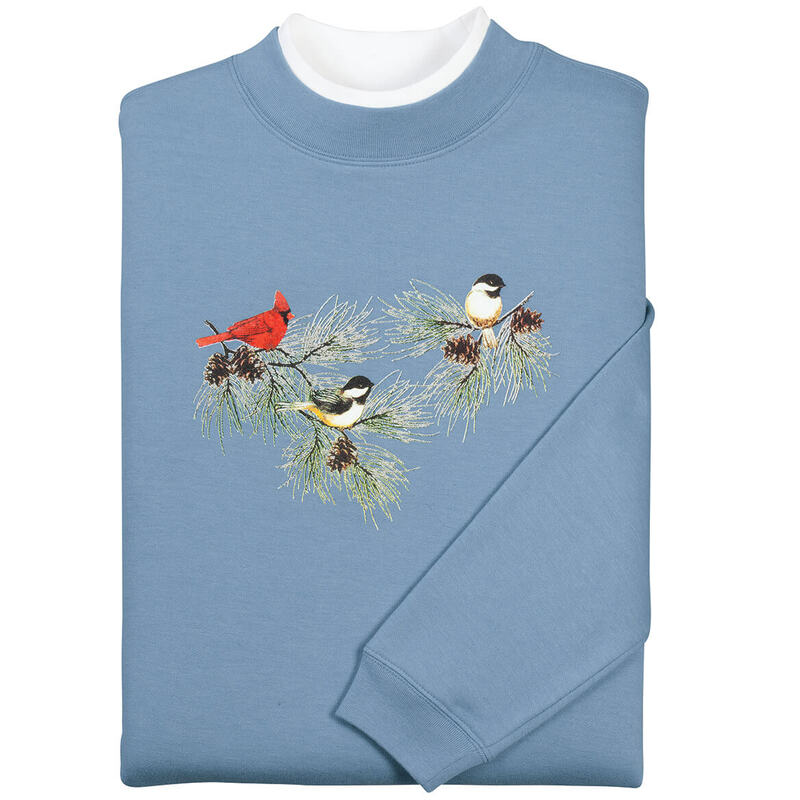 I have crew neck long sleeve tops and the dickies will make wearing them more comfortable in the winter. Can't find these in a store. Like to have for lower cut shirts and for extra warmth without the bulk of another shirt. Wider and the material . For cold weather, need something at the neck. great price and hard to find. Been looking for these for a while... will order more colors if this one works out. I need a collar to go with a costume. This looked like it would just fit what I needed. I have used this type of Dicky for many years but wasn't able to find them anywhere so obviously, I was very happy to find them in the Miles Kimball catalog. I ordered it for an elderly lady friend. These are perfect to wear under shirts with bigger necks. I've had these before and like them! they will go just right with some lighter-weight tees. A little more coverage for cooler weather. As I've gotten older sweaters/ tops without collars or turtlenecks are more attractive. they were practical to use with low neck sweaters. I HAVE ORDERED THEM BEFORE AND I LOVE THEM. THEY KEEP ME WARM, WHEN I WEAR THEM. I need something less bulky to wear under my fleece sweatshirts. I use them all the time durning the winter. Price, availability, design, and I need to wear mock turtlenecks under my uniform at work now. 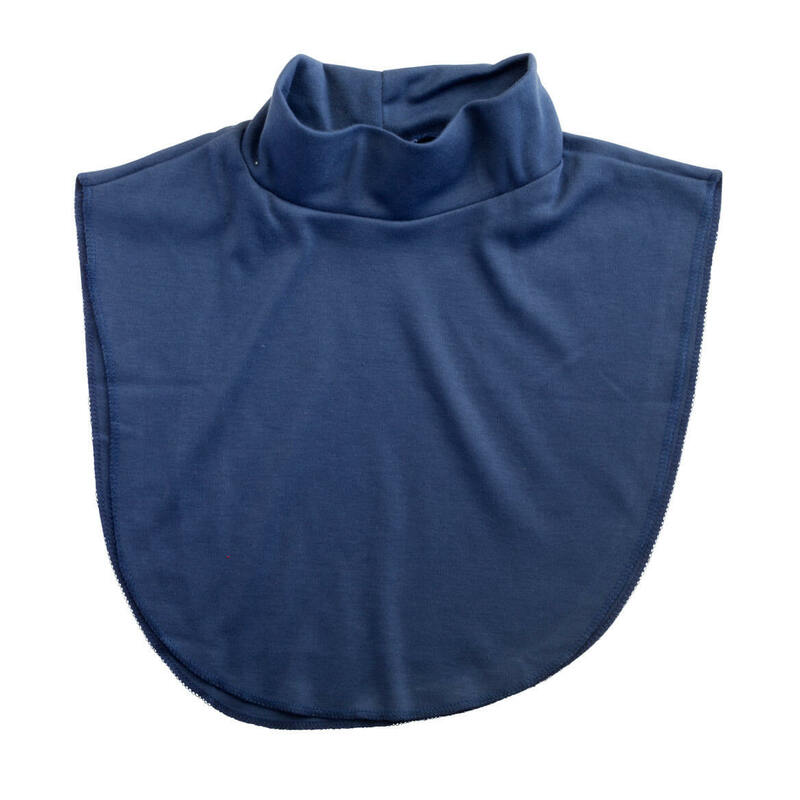 To help cover my front on my shirts and to add some turtleneck to my shirts. Needed it for some low neck tops for warmth and to enhance the style. Looking for these mock turtleneck for a while. Price and free ship was a plus. Thanks. Have worn theses for years but are very hard to find. So happy you have them. Have ordered from you for years and will continue to do so. Thanks so much! I need this for some tops I have that are lower than I like at the neckline and have had difficulty finding dickies that work. Just needed this look for a couple of tops. I'm middle aged now and am always warm or hot. I bought these to replace the standard turtleneck. Are these no sleeve or short sleeve or possibly long sleeve shirts the picture does not clarify? BEST ANSWER: Thank you for your question. The Dickies for not come with sleeves, as they are only made to give coverage for low necked shirts. We hope this information will be of help to you. I really do not understand the question, they slip over your head and hang down in front and back - no sleeves involved - any shirt could be worn with it. no sleeves what so ever. do you carry a dickie with a 18 neck? BEST ANSWER: Thank you for your question. It fits a neck up to 16". We hope this information will be of help to you. BEST ANSWER: Thank you for your question. A polyester and low cotton blend is resistant to shrinking due to the influence of polyethene. Therefore, these dickies will not shrink. We hope this information will be of help to you. Are these dickies machine washable? BEST ANSWER: Polyester and cotton blend. Wrinkle resistant. I did not have trouble keeping it tucked in. Yes. I also found it difficult to keep tucked in. I like the idea of it very much. 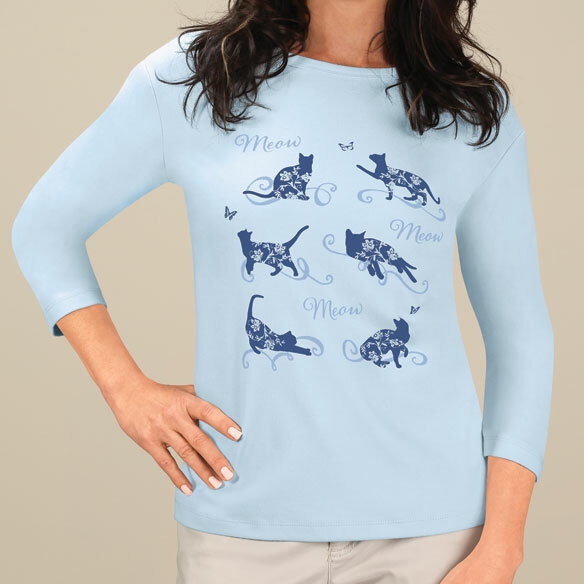 It is a polyester and cotton blend, similar to what a T-shirt would be made of. Does it have a zipper in the back of the neck? BEST ANSWER: No it does not have a zipper, it is a pullover.. The first time I wore one the neck stretched out and I have a small head. I was terribly dissappointed. No it does not. 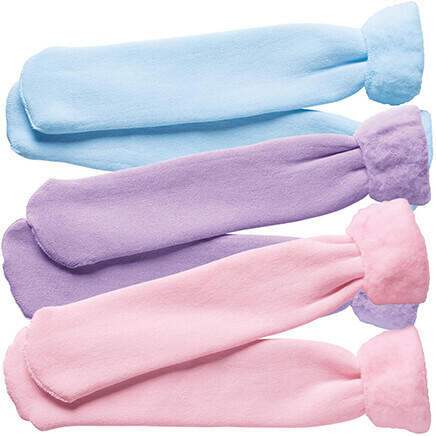 It is a stretchy cotton that fits your head & neck. I hope this helps. Happy Holidays! 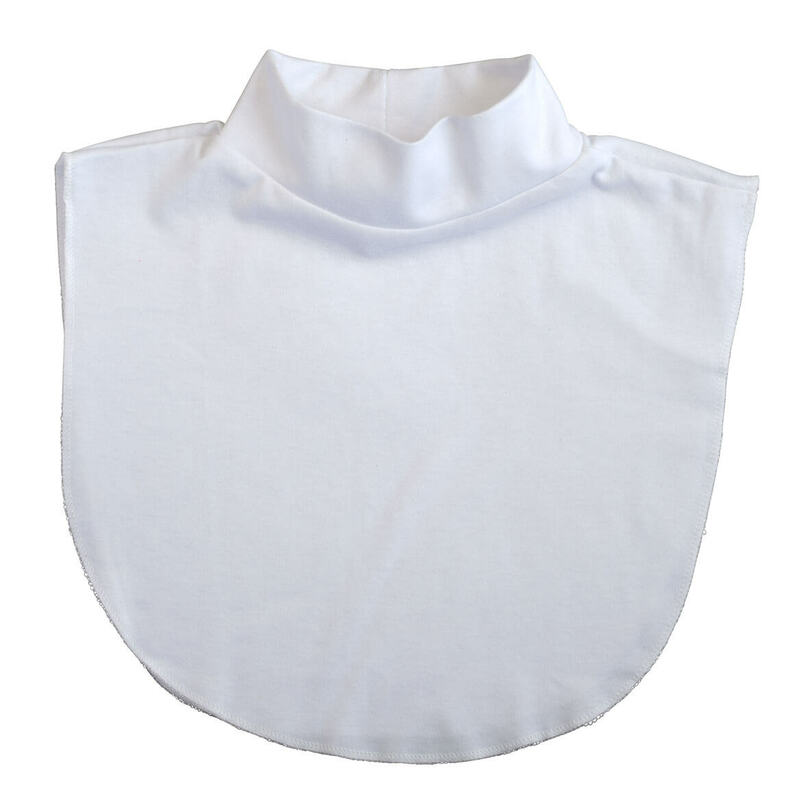 Yes, the Dickie Mock Turtlenecks come in white & ivory. They also come in Red, Navy & Black. I was very happy with the quality of the Mock Turtleneck. Is this for men, women or both? BEST ANSWER: Thank you for your question. 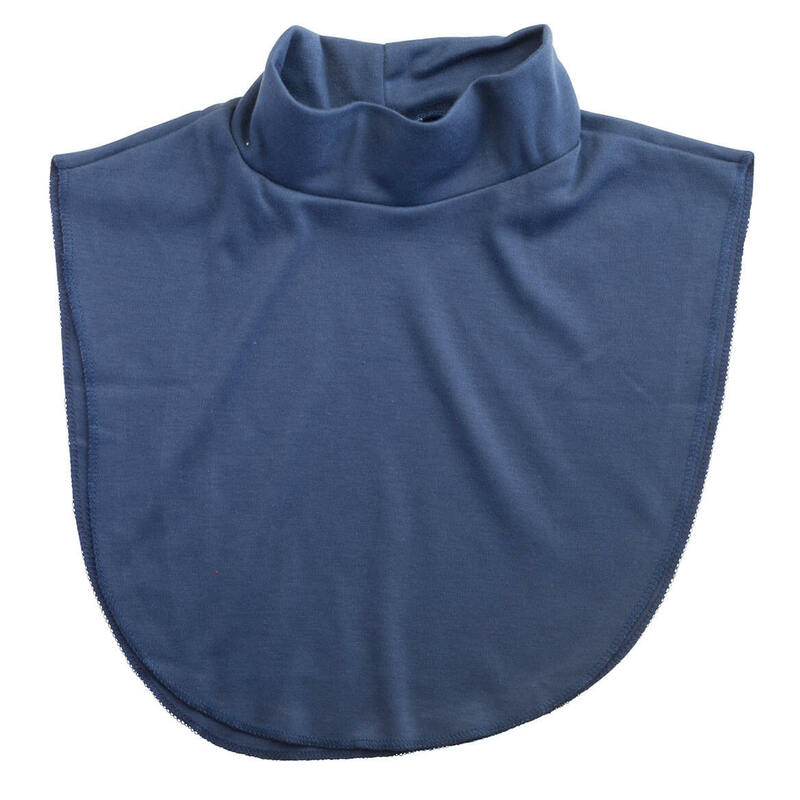 The Dickie Mock Turtlenecks are not specific for men or women and have the fallowing dimensions, the neck is 16" in circumference and 2 1/4" high collar, and has a ribbed front and back, 12" long, 14 1/4" across. We hope this information will be of help to you. I don't see any reason why it could not be used for men or women. I love mine because it doesn't choke me. There is plenty of room. It would be fine. I would say it is more for women. I man has a larger head and neck. Are these short sleeved shirts? I cannot tell by the picture. BEST ANSWER: No these are not short sleeve shirts, they simply slip over your head and after you put on a sweater, fleece sweatshirt or a regular shirt, they lay nice and flat under your top layer and make your outfit look "finished ", also keep your neck warm from drafts, etc. Thank you for your question. These are dickeys, no sleeves. We hope this information will be of help to you. how tall is the collar? BEST ANSWER: Thank you for your question. The collar is 2 1/4" high. We hope this information will be of help to you. BEST ANSWER: Thank you for your question. This dicky can be worn by men or women. We hope this information will be of help to you. 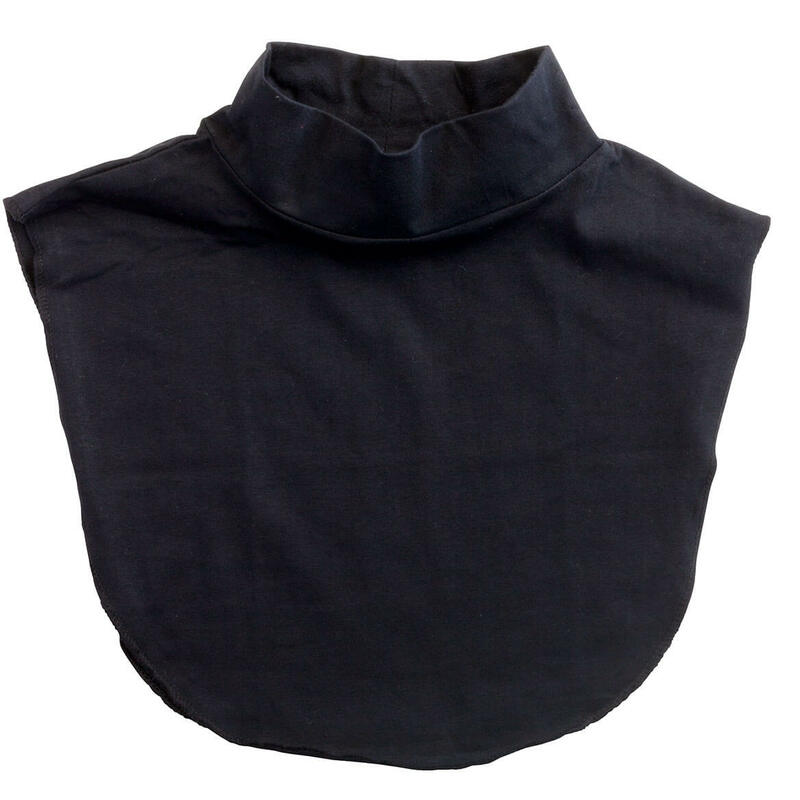 what is the material of the mock turtle dickie? BEST ANSWER: Thank you for your question. It is 65% polyester/35% cotton. We hope this information will be of help to you. Are you in Canada or the US? BEST ANSWER: Thank you for your question. Our company is in the USA. We hope this information will be of help to you. Blue is a color choice, but it is not pictured. Is it light or medium blue, since you also offer a navy? BEST ANSWER: Thank you for your question. It is navy blue in color. We hope this information will be of help to you. can I buy just one? I would like to buy a cream one only. Is it possible? BEST ANSWER: Thank you for your question. This item is sold separately, not in a set of 4. We hope this information will be of help to you. Does these neck mock turtle neck dickies come with arm holes like blouses? BEST ANSWER: Thank you for your question. No, this is a dicky, it does not have arm holes. We hope this information will be of help to you. Does this mean (4) four in package ? Price?? BEST ANSWER: Thank you for your question. The Mock turtleneck dickie only comes as one for the price. We hope this information will be of help to you.